Apparently our maid, Anita, is not the only one who demands weird things from us. 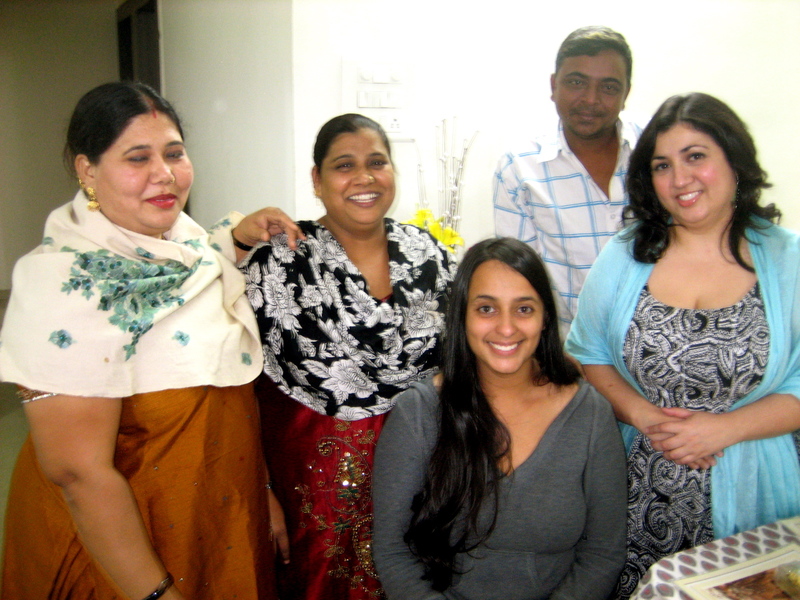 I’ve been staying in Pune for the holidays with my dear friend Sherry and her father, Khush. This evening, this conversation ensued between their maid Kamal and me. Kamal: Come on! You have to get ready! Kamal: My husband is coming, and we want pictures of us with all of you to show our family in Punjab. But Reena, I have to ask you something. Kamal: Can you take off your kurti and put on some American clothes? You look too Indian. You need to look more American, otherwise you’ll just look like you’re from here. Reena: Wait, what?? Umm… okay, but I don’t really have any american looking clothes. I just have kurtis and saris and stuff. Kamal: No, anything American will do. Reena: Seriously, Kamal, all I have is my pajamas. Kamal: That’s great! Wear those! Reena: Really?? So you’re saying you want me to wear my pajamas in pictures you can show your family? Of course, Sherry was also asked to wear western clothes, but having just come from America two weeks ago, she was much better equipped than I was. This entry was posted in Uncategorized and tagged anecdotes, oddities. Bookmark the permalink. 1 Response to american fashion.